For scientist-politicians in the US, 2018 was a landmark year. Following November’s Midterm Elections, seven scientists will head to Washington to serve on the US Congress.1 At the state and local level, over 70 scientists across the country ran for political offices.2 The strength of this pro-science movement at every level of the political system is not surprising: in recent years, the scientific community has become increasingly frustrated and concerned with the anti-science sentiment growing within certain sects of the government. The establishment of 500 Women Scientists immediately following the 2016 Presidential Election is another example of how scientists and their allies have been called to action. While scientist-organized groups such as 314 Action are making impactful contributions by empowering scientists who want to serve as politicians,8 others are supporting the movement by engaging and educating the public. 500 Women Scientists also took action – starting with a July webinar titled Elections Matter! The 101 for How You Can Get Involved and Make an Impact. As a grassroots nonprofit organization that is powered by locally organized communities, our efforts were focused on mobilizing area voters: a few examples include the San Diego and Fort Collins Pods (where members created a science policy voter guide), the Washington DC Pod (whose members helped drive voter registrations at local universities and law schools), and the Ithaca and Philadelphia Pods (where members created and distributed candidate questionnaires).9 In the new year and beyond, 500 Women Scientists will continue to engage the public in advocating for socially just policies and evidence-based decision-making. 2018 has been a tumultuous year for politics, like the one that came before it. However it is reassuring to see the new energy, optimism, and resolve in these scientist-politicians, as well as the citizens who believed in the newcomers and what they stand for. Science can and should help direct the course of history towards reason and justice, always — these scientists have begun by making history themselves. The future looks brighter than it has in a long while. Helen H. Kang, PhD is a medical writer in New York City (Twitter). Emily Holden. “Congress Gains an Influx of Scientists as GOP Science Committee Head Leaves.” The Guardian, November 10, 2018. Accessed December 9, 2018. https://www.theguardian.com/us-news/2018/nov/10/congress-gains-scientists-lawmakers-midterm-elections. David S. Rauf. “Scientist-Politicians Go Local: From Lab Bench to a Deep Bench.” Scientific American, November 1, 2018. Accessed December 9, 2018. https://www.scientificamerican.com/article/scientist-politicians-go-local-from-lab-bench-to-a-deep-bench/. Committee for Jasmine Clark For Georgia House. Jasmine Clark for Georgia. https://www.jasmineclarkforgeorgia.com/. Accessed December 12, 2018. Ballotpedia. Jasmine Clark. https://ballotpedia.org/Jasmine_Clark. Accessed December 12, 2018. Twitter. Jasmine Clark. https://twitter.com/JasmineforHD108. Accessed December 12, 2018. Ballotpedia. Kim Schrier. https://ballotpedia.org/Kim_Schrier. Accessed December 12, 2018. David S. Rauf. “Scientist–Politicians Rack Up Wins on Election Day.” Scientific American, November 16, 2018. https://www.scientificamerican.com/article/scientist-politicians-rack-up-wins-on-election-day/. Accessed December 12, 2018. 314 Action. http://www.314action.org/mission-1/. Accessed December 12, 2018. 500 Women Scientists. 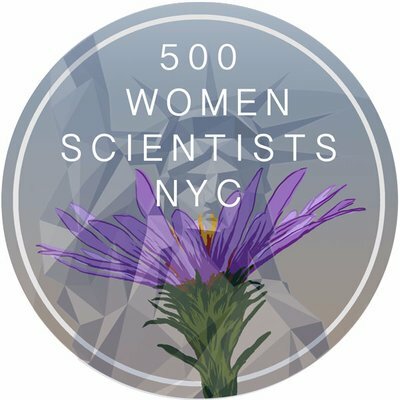 https://500womenscientists.org/get-out-the-vote. Accessed December 12, 2018.